I was celebrating my 44th birthday so I planned a wine tour to celebrate. Who better to plan my birthday party then me! I wanted to keep it small so we put together a group of 14 in total. I did some research on wineries in PA (did you know there are more than 200 in PA!) and landed on Setter Ridge Vineyards. Once that was decided, I worked on transportation. That was an easier decision as there is only one legitimate luxury transportation company in this space. I spoke to an in-house “Sommelier” at Kevin Smith Transportation Group and we landed on one of their 18 passenger Party Buses. Perfect! 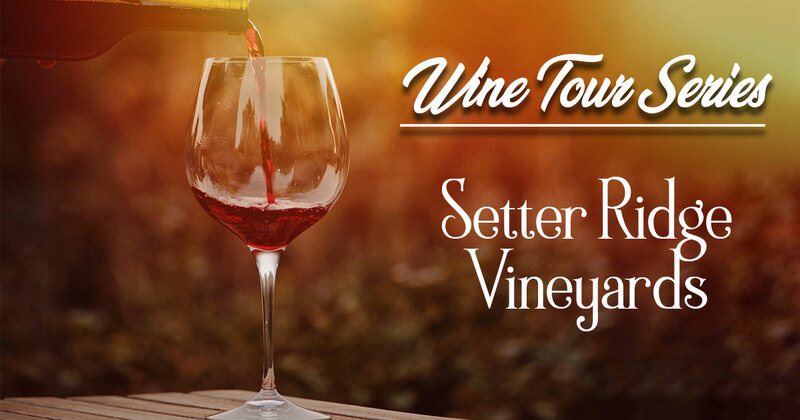 Located in Berks County, PA, Setter Ridge Vineyards is the ultimate family run winery. Mirrored after some of the most famous wineries in France, the history of the winery swallows you up from the minute you step on the property. They hold a variety of tasting options and even run a fair number of special events, including a Cup Cake pairing that I am sad we didn’t attend. We arrived for our tasting super excited. The one hour Party Bus ride didn’t hurt! A great way to travel for a wine tour. We had scheduled a formal tasting, where we were going to get to taste 5 wines. Our host was amazing. He took his time with us, answered our thousands of questions and let us savor the experience. Not only did we get to sample some amazing wines, but we really got a chance to unwind and have a ton of laughs. We left the vineyard late afternoon and headed back home, ultimately stopping off for an early dinner and a continuation of a great day. Riding in the Party Bus just made it that much more perfect. You can find their wine in more than 10 different locations across the state, from breweries to wine and cheese shops. Booking a Party Bus let us explore a winery that wasn’t as close to home as others as we didn’t have to worry about driving. However, regardless of the wineries proximity, booking a chauffeured vehicle is the only way to go.